Middleton, WI – October 28, 2010 – Extreme Engineering Solutions, Inc. (X-ES) announces the immediate availability of XCalibur4301, a conduction- or air-cooled 6U CompactPCI Single Board Computer (SBC) based on the Intel® Core™ i7 processor. 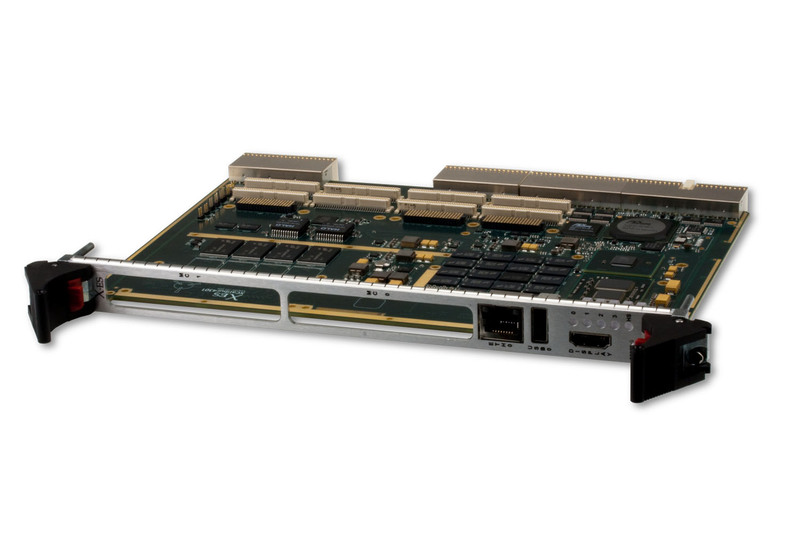 For upgrades to existing commercial, industrial and military 6U cPCI applications, the XCalibur4301 delivers significant performance and efficiency improvements over previous SBCs. To satisfy the widest range of applications, from telecommunications to military applications, the XCalibur4301 is engineered to scale from an air-cooled, commercial (0 to 55ºC) version to a rugged, conduction-cooled (-40 to +85ºC) version with appropriate environmental test methods. About X-ES – Extreme Engineering Solutions, Inc. (X-ES) designs and builds chassis, single-board computers, I/O, power, backplane, and system-level products within the embedded computer industry. X-ES offers cutting-edge performance and flexibility in design, plus an unparalleled level of customer support and service. For further information on X-ES products or services, please visit our website: www.xes-inc.com or call (608) 833-1155.